Those who are renting for a long time knows the struggle of finding a good place with a large space. More often than not, a small rental space cannot accommodate a big family’s needs. Which is why here at Clearhaven Lettings, we try our best and find only the best places with large spaces for the whole family. If you are someone who’s looking to maximize the minimum space you have at home, we have just the perfect decoration tips for you. These tips will help your place look organized, neat, clean and make it appear larger than it actually is. Keeping your home tidy is one of the most important things you could do as a homemaker. 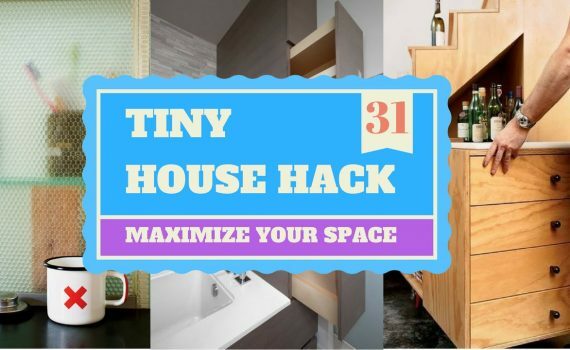 31 Tiny House Hacks To Maximize Your Space | Home Organizing Ideas by GoodLife – Decorating, Organizing, Ideas! Just because your house is small doesn’t mean you can’t live large. This will definitely take some handy work, but you can create a flap under your television with some springs and hinges, which will allow you to store your DVD player, video game system, and any other electronics behind your television. Source. Do you have any more tips? Share it with us in the comment section down below!